E.Motion provides everything what a diver needs to be dry and safe. Made of lightweight Nylon fabric, which provides great flexibility and essential durability. 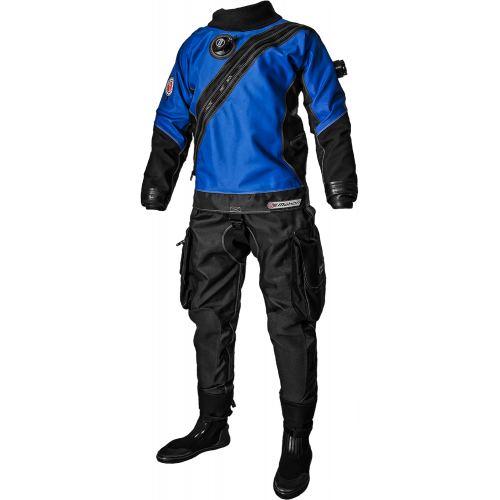 E.Motion ensures balance between fabric durability and lightweight features that make it a perfect travel drysuit. It is very easy to dry and clean, fold and store between the dives, thanks to that it fulfills the highest expectations of all recreational and technical divers that appreciate simplicity and quality. Resistant to dirt and requiring minimal attention during explorations. fabric Ripstop Nylon/Butylene 235 g/m2.